Have you ever lost your files from an Android device? Whenever you lose important files from the Android device, the first mind is to recover deleted files from Android. The files that are deleted from your phone are not actually deleted, they remain there on the same spot, only the space they occupy is marked as "Unused", which allow new data to be saved there on that same spot. This is how an Android device deals with the deleted data. If that space occupies new data, the previously deleted files are overwritten and are lost permanently. Can I Recover Deleted Files from Android Phone? The answer is yes. But Do not create new data until you have recovered the deleted files and you should recover them as soon as possible. There are several things on a phone you do can create new data such as taking a photo, installing an app, update data, downloading new music etc. When this situation happens, turn off the internet connection on your Android device to automatically keep the phone from creating new data, and do not use your phone unless it is really important. 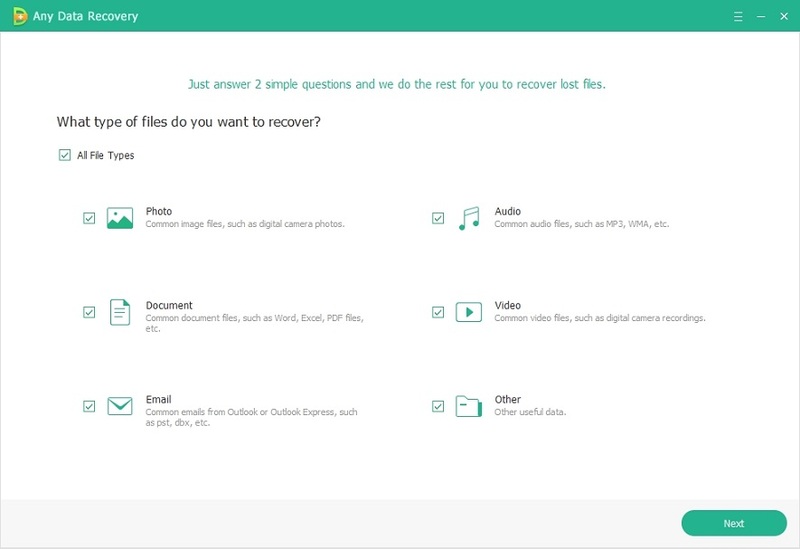 Now you are ready to start the recovery process of your deleted files. Before getting started, make sure you have a reliable connection between your Android phone or tablet and computer. 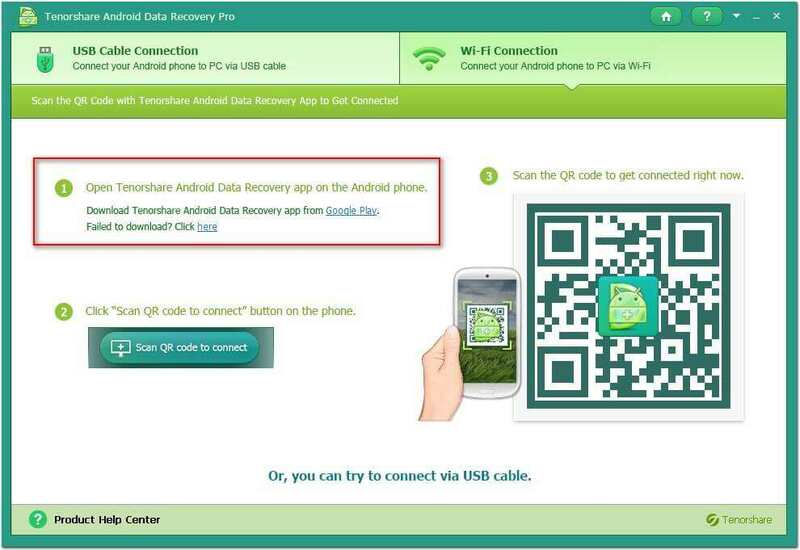 Use a qualified USB to establish the connection so it won't get lost during the process of android file recovery. Also, check for the battery of both your Android device and computer so as to support the recovery process. UltData for Android is an expert tool for recovering any lost files from Android devices. Here is the guidance. Step 1 Download and install UltData for Android on your computer, connect your Android device. Note: If the device can't be detected, you should enable USB debugging. Step 2 The software will start to scan device, then select the files you want to recover and click "Next". Step 3 Preview the files then click "Recover". You will have all your deleted files within just a few minutes. The process remains same for both, Android phone and tablet. This time the problem involves your SD card which stored all the files of your Android device. This means the storage is in the external memory of your phone, i.e. the SD card. If you have lost those files from your SD card, don't worry, we can also solve this problem. Remember not to overwrite or format the data in your SD card, otherwise, you'll lose your files permanently. We can do this with UltData - Windows software. It is one of the best data recovery tools that bring back your lost data including messages, contacts, photos, videos, and other important files from Android. This program has proved to be best until now because of its highest recovery rate. Step 1 Download and install UltData - Windows on your computer, connect SD ard to computer, click "Start". Step 2 Now choose the location of the deleted file types and click "Scan". Step 3 All your recovered files will be displayed after scanning, now select and preview required files and tap "Recover". Step 4 Select the storage destination path on your PC and your process of android file recovery is complete. Then the lost data have been saved in your computer. Now we have the answer to all our questions about how to recover the lost files from Android device. We have also discussed how to retrieve deleted files from Android phones and Tablets and from Android's external memory i.e. SD card. If ever you or your friend face this problem again, we are sure you are a pro in fixing the problems related to data recovery from Android.